Historically WFO and IVR do not talk to each other. 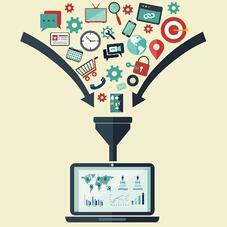 Analytics intelligence gained from either solution is generally also viewed in silos. Each system generates large volumes of data, such as details of individual customer interactions from the IVR (use of self-service vs. transfer to agent, number of completed calls, caller preferences, interaction details, customer details) and information on contact center agent performance (quality, productivity, workload, agent call handling, etc.) from the WFO. Although these two data sources are important in and of themselves, their value rises exponentially when combined and analyzed as a whole. Together, they can shed light on the complete customer journey and how it is affected by back-end staffing, training and operations. These leaders also acknowledge the desirability of consolidating and analyzing IVR and WFO data to achieve key operational goals, both for the short term and the long term. 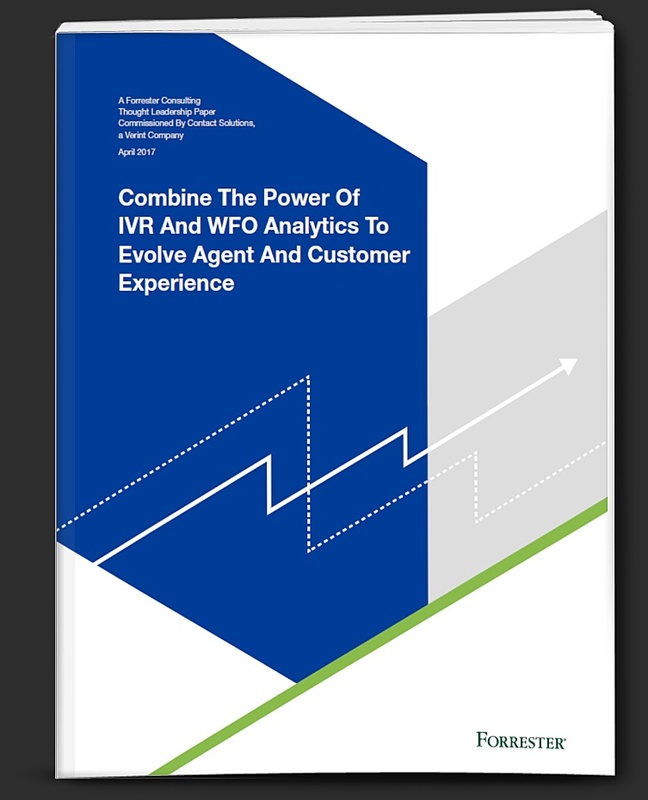 With ample evidence that combining and analyzing WFO and IVR data can drive better decisions and improve contact center operations and results, why aren’t more organizations taking steps to do this? As mentioned earlier, software interoperability issues and entrenched processes or cultural expectations can stand in the way of data consolidation. 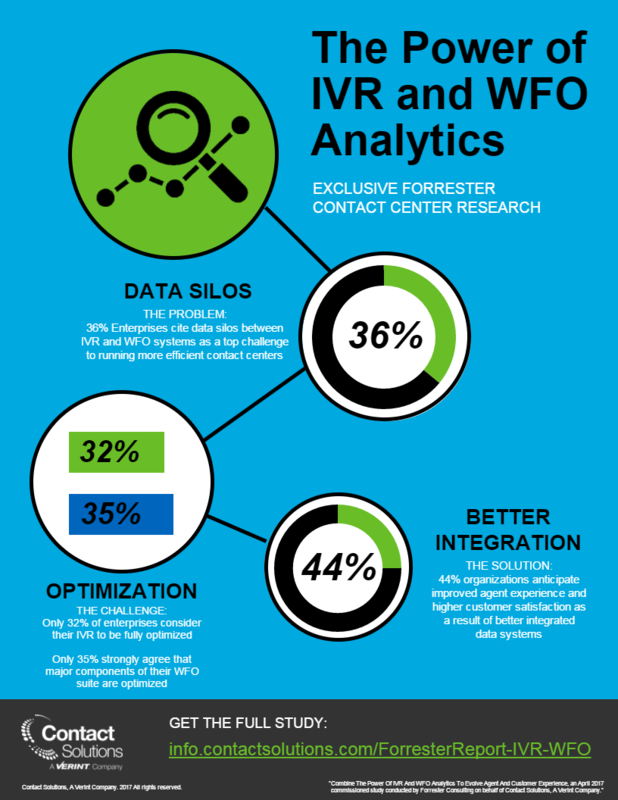 Adding to these barriers are concerns about high costs, lack of a unified contact center strategy and uncertainty about how best to integrate the IVR and WFO data repositories. Subscribe to this blog and get email notifications of posts that address this issue.